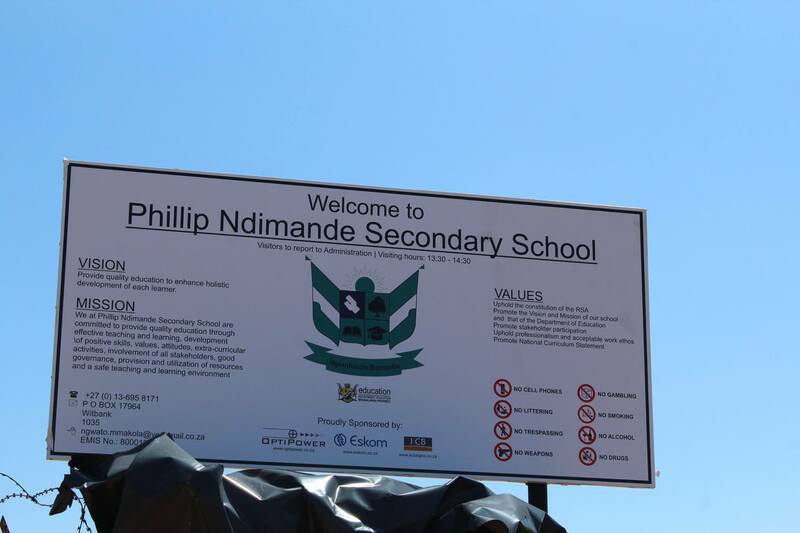 OptiPower had proudly sponsored a beautiful Information Sign to the school, stating the school’s Vision, Mission, Core Values and Rules of Entering the Premises, in partnership with Eskom, the Department of Health and KCB Signs. Furthermore to the Information Sign, all Matric Students of the 2015 class attending the School, received an embroidered Drimac with “Matric 2015” inscription at the back, and “Eskom” on the front. OptiPower wishes to thank each party involved for their participation and support. A special thanks to the local dance group which surprised all with a dance at the event, the Matric Representative from the Phillip Ndimande Secondary School, PNSS Principal Mr. Simon Mmakola and the Choir of PNSS. This CSI event was held as part of OptiPower Projects’ social responsibility relating to the Vulcan project.